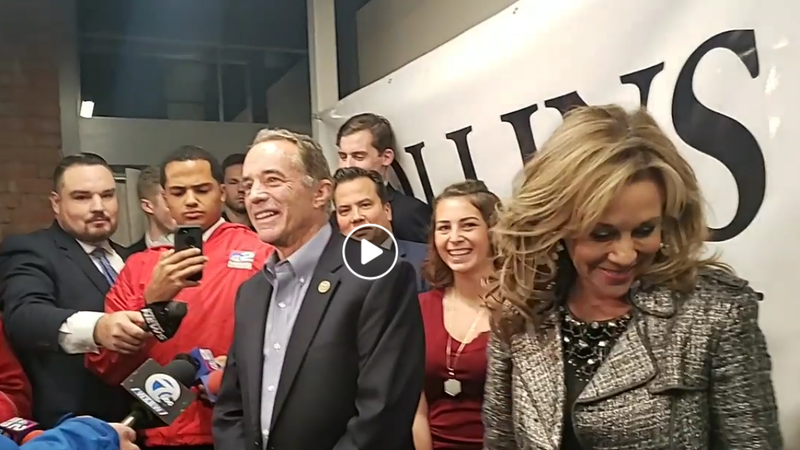 BUFFALO, NY (WBFO) – Republican Congressman Chris Collins narrowly won re-election against Democratic opponent Nate McMurray in NY-27. But McMurray, who initially conceded, is now wants a recount. Nick Langworthy, chairman, Erie County Republican Party. “I am reelected – that’s all that matters and I will represent everyone in the district,” said Collins. “I’m just going to continue to do my job, which I’ve done from day one, including all through September when I was in D.C. for three weeks – never missed a vote – I still won’t, I mean all is good,” Collins remarked. Collins was arrested and charged with 11-felony counts in August accused of insider trading, but Collins plans to move forward as a Washington lawmaker and fight the charges. “I acknowledge there’s a black cloud. I’ve got to have my day in court to exonerate and clear my name in 2020 – that’s 15-plus months away,” Collins stated. 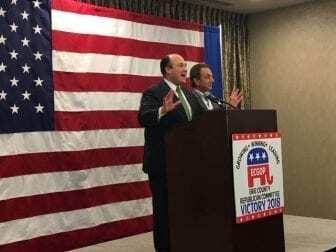 “New York 27 has stayed red,” declared Nick Langworthy, chairman, Erie County Republican Party. “Chris Collins voting record is crystal clear to the voters in the district. They supported that ideology. They looked past his legal situation,” Langoworthy replied. “I feel grateful most of all that I ran a campaign that my two sons can be proud of,” McMurray commented. Initially Democratic Challenger McMurray conceded the race against Collins and tried to console his supporters. “Come on – you’re going to be alright,” McMurray said.